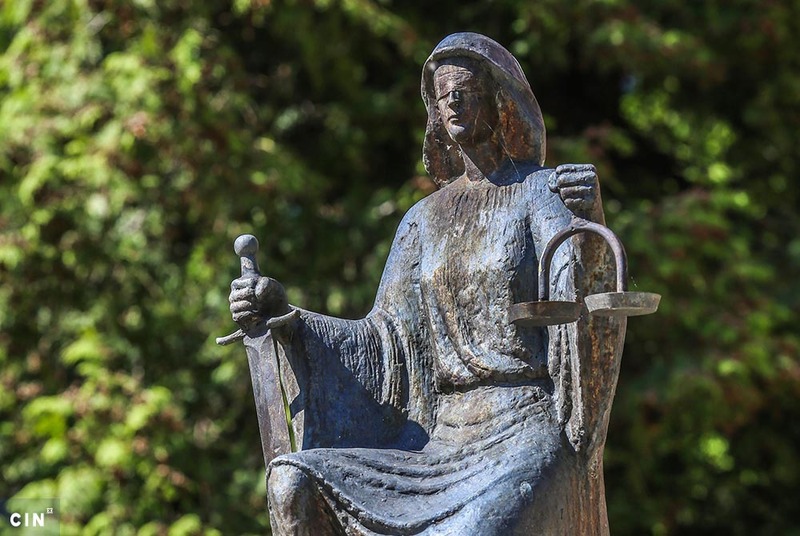 In the next three months, the High Judicial and Prosecutorial Council (HJPC) will analyze the selection process of court-appointed attorneys across Bosnia and Herzegovina (BiH). After, they will try to make some improvements in cooperation with attorneys. “We need some concrete measures. 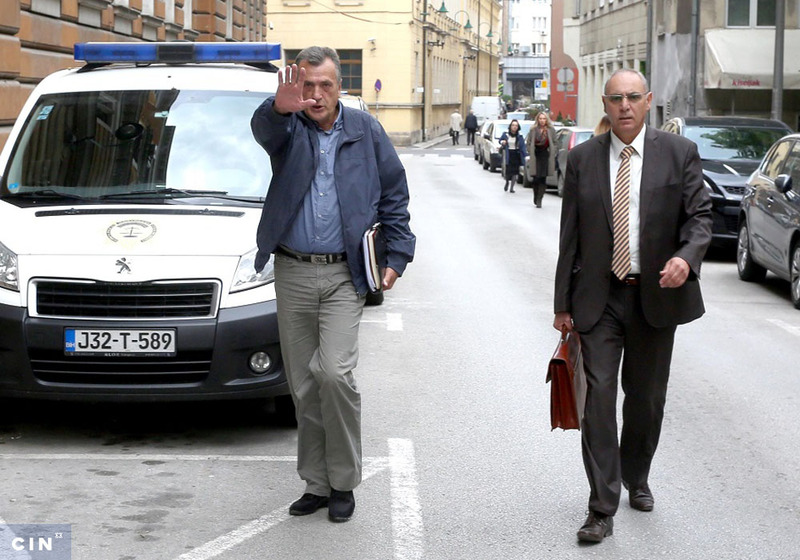 This is really a serious factor of risk, a corruption risk,” said judge Dragomir Vukoje at the Council’s session. 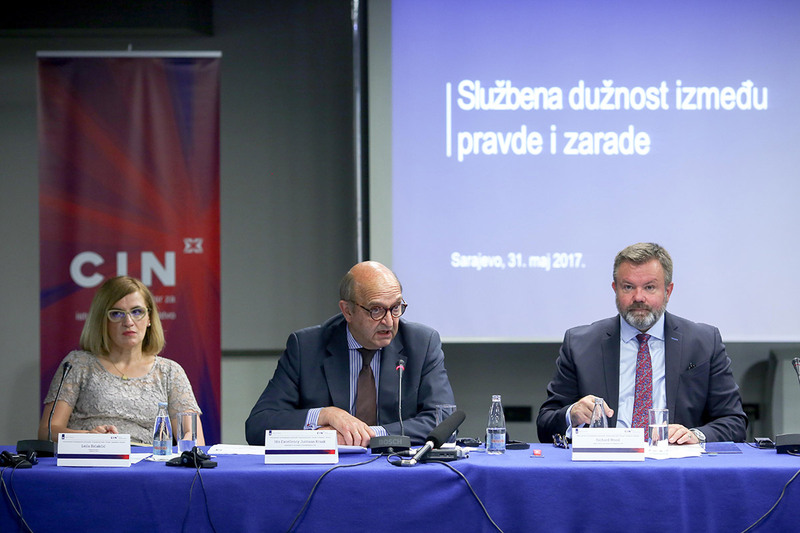 HJPC’s vice-president Ružica Jukić launched a debate about court-appointed attorneys after the Center for Investigative Reporting in Sarajevo (CIN) finished an investigation which has shown how a small group of attorneys gets frequently hired and how some have earned millions over seven years. According to the law defendants are free to choose an attorney. Yet, the investigation has shown that judges, prosecutors and policemen sometimes influence the selection process. At the Council’s session, Jukić said that, while analyzing the records from 2011 to 2015, she noticed how certain judges appointed the same attorneys as many as 20 or 40 times per a year. She said this did not happen often, but was still indicative of what was going on in judiciary. The whole system has been under media limelight that exposed what was going on in prisons and jails where judiciary police sometimes influenced a suspect’s choice, she said. In its investigation, CIN reported experiences of prisoners who talked how police officers suggested them which attorneys to hire. Attorneys and judges have spoken about this and judge Vukoje agreed with them on the HJPC’s session: “This happens a lot in practice. We don’t need media for that, we know more or less or can imagine that during the arrest, usually some police officer says, in some way, recommends an attorney from the roster,” he said. Representatives of the entity bar associations said that the associations have already started to collect records about the selections of court-appointed attorneys in order to analyze their work ad were ready to launch disciplinary proceedings against attorneys who have not behaved according to the attorney code of ethics. 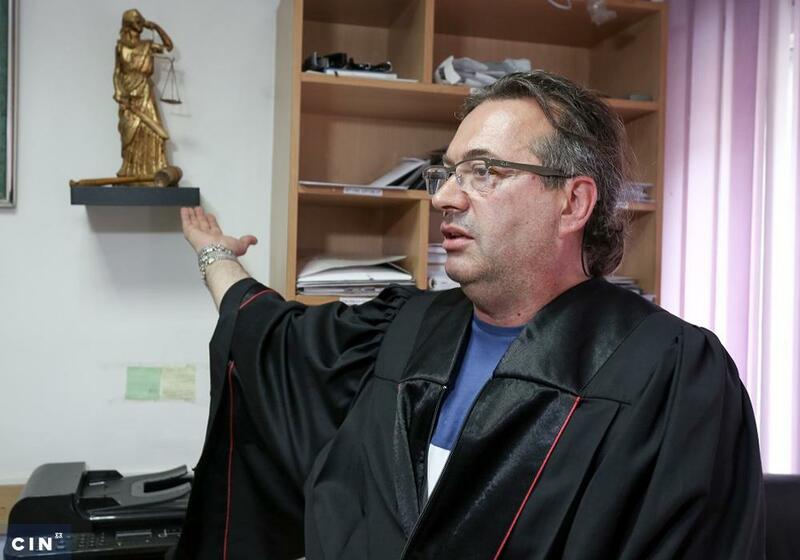 “We are aware that, no matter how capable you are, if you have three-to-four court cases during a day, you cannot prepare yourself in a quality manner for all those cases,” said Amila-Mimica Kunosić of the Bar Association of the Federation BiH. The Council members said in discussion about the quality of defense how there have not been clear criteria for appointing lawyers on the roster of court-appointed attorneys. “There are no requirements about experience, additional training or conditions – it’s all a bit chaotic,” said Jadranka Ivanović from Republika Srpska Bar Association. According to the CIN investigation, all lawyers are allowed to practice as public defenders before the entity courts, while to be able to counsel before the Court of BiH a lawyer has to have seven years of relevant experience, among other things. Bar Associations are compiling the rosters of court-appointed attorneys which are then sent to police, prosecutors and courts. Željka Radović, chief prosecutor of the County Court in Doboj, proposed that the Council analyzes also situations when suspects receive a list of court-appointed attorneys from prosecutors. “If we have established that one and the same judge appoints one and the same attorney in more cases, let’s do an analysis to see how many of those situations are related to the prosecutor’s office. I come from a Prosecutor’s Office and I think that this is needed,” she explained. 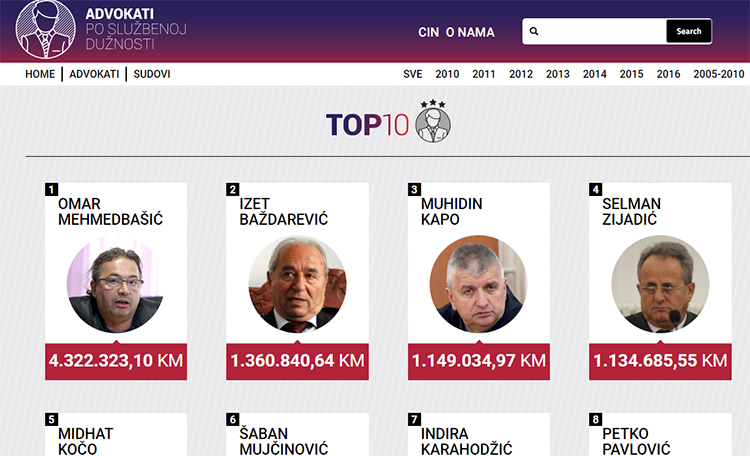 Between the beginning of 2010 and the end of 2016, the Courts in BiH have spent 76.2 million KM on court-appointed counsels.